ALLEGRA BOVERMAN/Staff photo. Gloucester Daily Times. Gloucester: Harborwalk is being built. The groundbreaking was held Friday at St. Peter's Square. 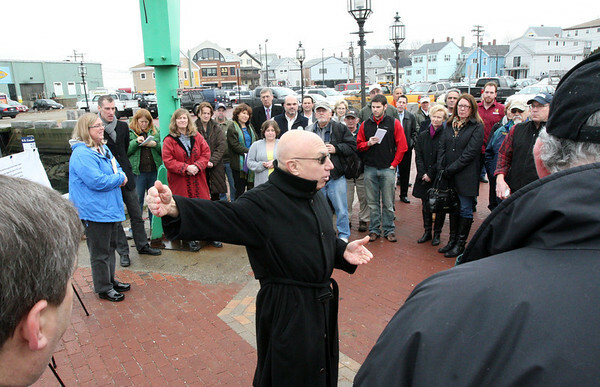 Peter Sollogub of Cambridge Seven Associates, Inc. discusses how the walk was designed.